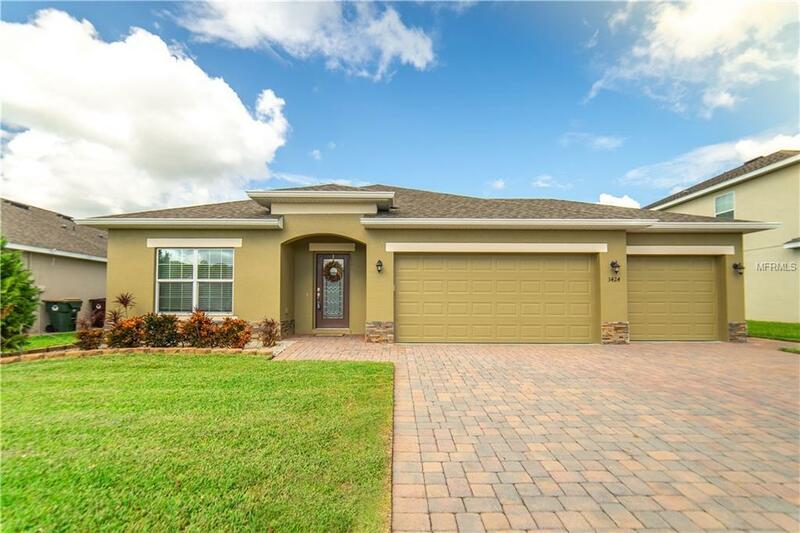 *** MULTIPLE OFFER SITUATION Please Send Highest And Best WEDNESDAY 10/24/18***Beautiful 4 Bedroom, 2 Bath, Split Floor Plan with 3 Car Garage Home located in the Mallard Pond Community. As you walk into the foyer and through the formal living and dining areas you will notice the updated tile flooring throughout the home with the 12 in. baseboards. Through the first hall, you will enter the Master Bedroom with Master Bath that features double vanity sinks, garden tub, walk-in shower, separate water closet, and large walk-in closet. The second hall off the great room offers 3 additional bedrooms and spare tubed bathroom. Through the breezeway, you enter into the kitchen and great room. The Kitchen offers expresso 42in. cabinets, tiled backsplash, stainless steel appliances, breakfast bar, and dinette. The great room is fantastic for hosting events as it opens from the kitchen to the second living space and out to the back patio. As you enter outdoors through the slider you will be greeted with the brick paver patio, gazebo, outdoor kitchen, and fire pit. Come and enjoy the wonderful entertaining spaces this home has to offer; Just in time for the Holidays. Listing provided courtesy of Branch Conner Realty & Management Group.